What with Wovember and other November busy-ness, we have just one episode this month. Grab a WIP and a drink and settle in. Click on the logo to visit the BritYarn website and find the new shades of Blacker Westcountry Tweed, a whole plethora of awesome knitting and crochet patterns and the festive yarn from WYS! Thanks so much to everyone who stopped by the website since last time and told me how much you enjoy the shownotes. That made me so very happy, particularly those of you who visited them for the first time! As you may know, we are going to one episode per month in 2018 and today I’ve got news of something new to our regular schedule. The Woolly Mucker reviews this year has brought us different dimensions and opinions on the same yarn. I want to keep that up on 2018, but with a bit of a twist. In 2018 I would love for us to explore breed wool together each month. The breed swatch along saw many of us seeking out local wool and selecting our own choices of breed wool to try, this is an opportunity to explore the same breeds together at the same time. I’ve posted on this separately with all the info, but essentially you can use any weight of yarn, any colour, any brand or hand-spun but it must be 100% of the fibre we are exploring. We will knit or crochet a swatch in any pattern and use the same pro forma for reviewing the wool. There will be a review chat thread each month in the KB ravelry group and each month I will collate our findings on the show. The first four months breeds are North Ronaldsay, Gotland in February, Ryeland in March and Jacobs in April. Start stashdiving or shopping at your nearest convenience! 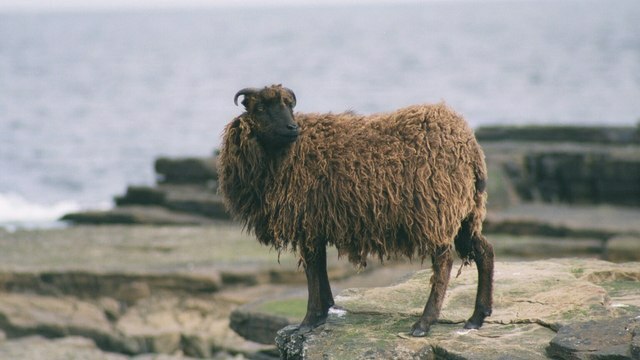 North Ronaldsay sheep – © Adrian Steen and licensed for reuse under this Creative Commons Licence. Check out this information post and let me know what you think. I am so excited at the prospect of exploring more breed wool with you, are you excited? 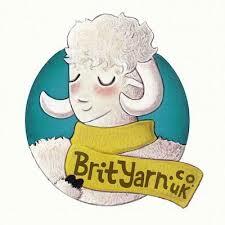 Keep reading for a wee discount code from BritYarn that may help encourage you further. I was so delighted when Pauline, from Life Long Yarns, sent me a delicious woolly parcel, that I really wanted to share the love with some of the mucker. I asked Mazzy and Anthea if they would be up for a mystery review. I told them that the wool was a blend and it was 100% wool content. I did not tell them that the wools were Scottish Blackface blends. The Scottish Blackface sheep is part of the Scottish landscape, for sure, but you never see the wool in yarn form, due to the fact that it is often a higher micron count and thought of as best for carpets and upholstery. Pauline McPherson decided to investigate why this was the case and Life Long Yarns is the result of her exploration. Having found that some blackface fleece can be quite fine and lustrous and knowing that blackface used to be used in the past for woollen garments, Pauline started a journey of creating yarn blends, with the help of The Border Mill, to raise the profile of one of Scotland’s national sheep. 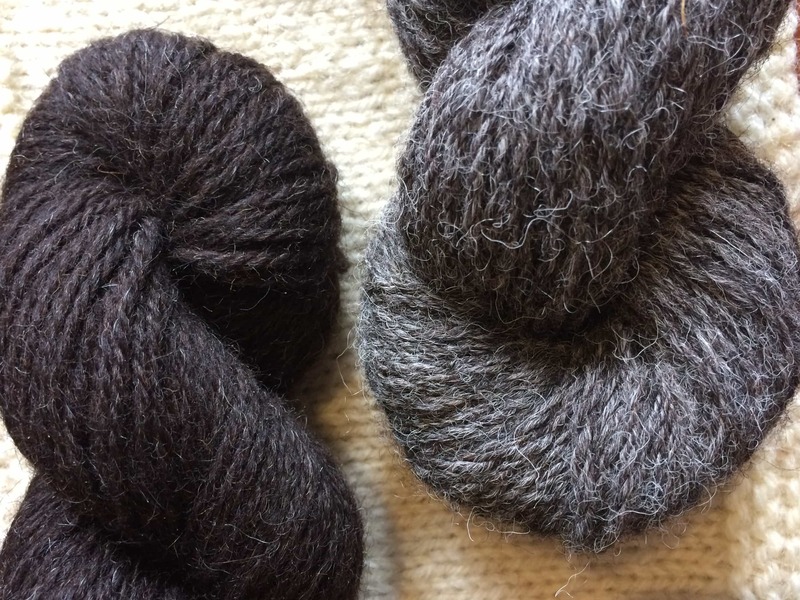 The blackface wool in Life Long Yarns current yarns come from yarns comes from a single flock – Baddinsgill is a hill farm in the Pentland hills. The semi-worsted yarn blends are Yarrow – a Blackface and BFL blend; Linton – BF, Shetland and Southdown; Ettrick – BF, Cheviot and Shetland; Fala – BF and Shetland and Soutra – 66 BF and 33% Shetland. There is also 100% Blackface called Bowden. Most are available in light DK and Aran and the Yarrow is also available in 4ply. Mazzy reviewed the Yarrow, again totally unaware of the wool, she followed guidelines we used in the breedswatchalong (and these will be very similar to what we will be doing in the Wool Exploration, next year). [The breeds may be] something tough like Boreray or Herdwick, blended with a much softer wool such as Shetland. unwashed swatch – The cable section had plenty of definition in the stitches and a nice, firm, structured feel. The ribbed sections had a good stretch. There remained some longer, loose fibres in the fabric, which gave a nice real woolly look. After two washes, blocks and wears – The fabric has fuzzed up a bit and matted slightly. 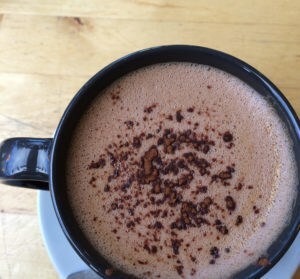 It is much softer now and has formed a dense, warm fabric with plenty of halo. A warm, cosy characterful swatch. Surprisingly tough. I think it would make a beautiful cabled jumper or cardigan and would be great for hats and mitts too. I also swatched with Yarrow and heartily concur with Mazzy; this is a great and cosy longwearing yarn. I knit some winged lace and some garter stitch in my swatch and I really like how that lace opened up. The longer fibres make a beautiful textured fabric and I was imaging making cardigans, like Harvest, by Tin Can Knits, Little Wave, by Gudrun Johnston and Melissa Shashwary’s Portage. Yarrow DK and Aran yarns cost £19.50. Anthea was sent the Linton light DK and this is 50% blackface, 25% Shetland and 25% Southdown. See her swatches above. Reminds me of J&S spindrift, so I’m guessing there is some Shetland in it and maybe masham or cheviot. 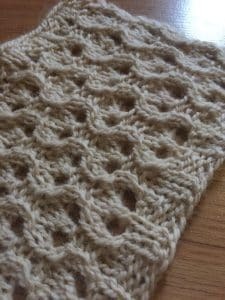 The swatch blocked beautifully – the lace stitches and garter bumps are well defined. I think i would use this yarn for cosy winter cardies with a bit of lace (i didn’t try cables in my swatch but it think it would cope well with those too), gloves would be nice or a warm hap shawl. I loved how the Linton knit too. I chose a bud lace and the wool is rustically soft, candyflossy and showed off those leaf shapes beautifully. I would knit a Pomme De Pin Cardigan or a Lamilla shawl, both using a similar design. Linton light DK and Aran yarns cost £19.50. As always, you need to listen in for the full wool appreciation, but I think you will love and be utterly surprised at the Blackface blends at Life Long Yarns. Thanks so much to Pauline and to Mazzy and Anthea for their reviews. Do check Life Long Yarns out on instagram and on her website lifelongyarns.com. 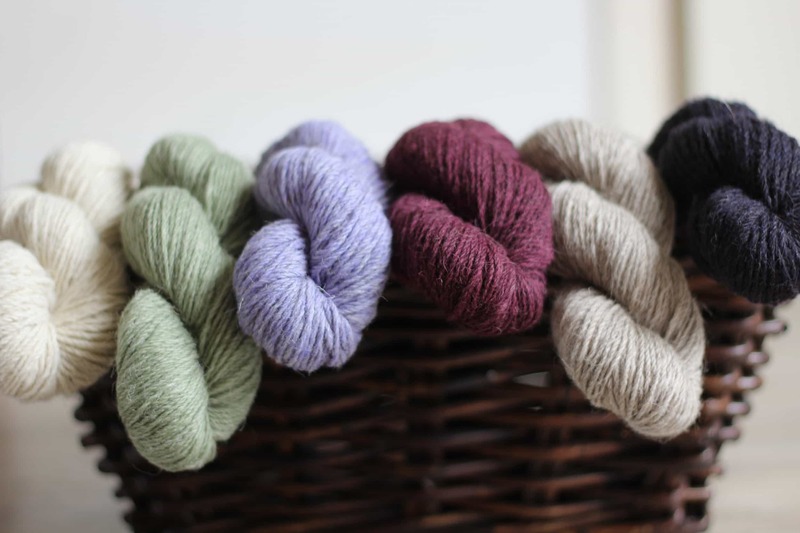 Pauline is giving away a skein of the newly launched yarrow 4ply! The lucky winner will get their choice of the oatmeal or the rowanberry shade. This new yarn is 270m/100g and costs £21.50 per skein. 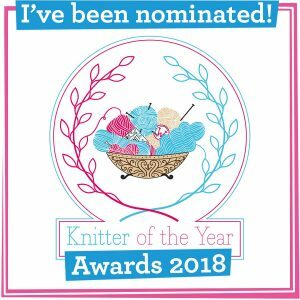 To be in with a chance of winning, head to the KnitBritish ravelry group! There are some awesome new books available on the shelves at BritYarn. Isla is stocking A Year of Techniques, by Arnall Culliford Knitwear, which I reviewed in episode 93. There is also Kate Davies newly published collection, Happit, which brings together 5 of Kate’s lovely hap and wrap designs (I think I need an Ottar!). The Crochet Project Accessories Book One is also new to BritYarn too. Does anyone else find the Crochet Project designs so totally approachable and hookable? I am so very drawn to their style! Wool-wise, Isla is expecting a chunky delivery from Garthenor soon – any one fancy some chunky Jacobs or Black Welsh Mountain Marled chunky? Very nice for quick, cosy knits! 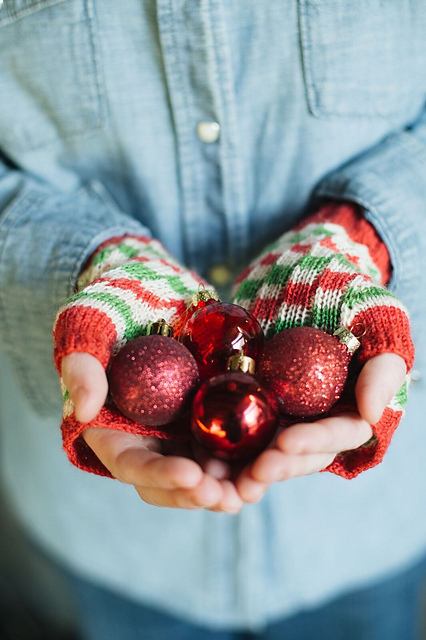 Isla is also stocking the festive yarn from WYS – this is the candy cane Signature Sock. If socks are not your bag, but you love this yarn you could try Jane Burn’s new fingerless mittens Bubble and Squeak – how cute are these? You may remember a few years ago we featured on Wovember Ellie Stokeld and her flock of Border Leicesters. 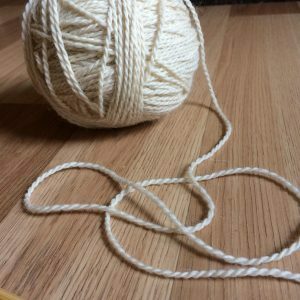 She had just started having their yarn spun then and I interviewed her (click here to read) about this early part of her yarny journey. Since then I know lots of you have discovered the Doulton Flock yarns at many shows. This is quite a unique yarn as there really isn’t a lot of Border Leicester yarn, but as my review goes on, I think you’ll find it is unique in other ways too. When Ellie told me that she had a limited edition Aran coming out, I was delighted to give it the KB swatch road test. The Hand-Squish-Grab of the skein: I was struck by the beautifully distinct ply and twist of the yarn. The two singles each have a defined twist and twisted together reminded me of a string of seed beeds. The skein felt bouncy and softly textured. There are lovely, fine, crimpy longer fibres in the yarn too. The Swatch: I wanted to see how that texture knit up so I did an hourglass eyelet swatch, on 4.5mm needles. It knit smoothly and I stopped to admire the fabric every few rows. I love that texture of the wool through my hands too and – unblocked – it makes an interesting fabric, ruffley and rumpley! I am imagining aran sweaters! The Wear: I wore this on my hip for a day. I was not aware of it. I wore it for a while the next day on my neck and shoulder. Initially there was a tingle from the longer fibres, but that subsided and then all I felt was much warmth! There was no signs of pilling. With a vigorous rub there was a slight fibre halo – but I’m not sure this will pill lots and isn’t that always a big bonus, folks? Thoughts: This feels like a “traditional” wool yarn, something perfect for long wearing sweaters and accessories – and it will keep you really snug. 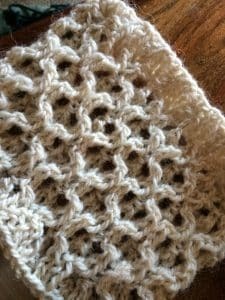 I think the more defined stitches the better, as there is such a lovely unique twist in this yarn and it would show off cables and lace so well. I loved the natural cream shade. There is a pastel pink, pastel blue and a warmer blue. 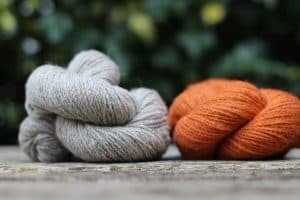 I think I would have liked to see a more sumptuous, autumn/winter shade in the mix here, as the palette for the 4ply and DK yarns have some great shades. Pastels are not my preferred shade at any time of year, but ooh that natural cream -to die for! The only other slight drawback for me was that there was a strong smell of perfumed soap (instead of a more natural scent, or a sheepy scent, which is EVEN better) but this washed out with a bath and a rinse in unscented wool wash. Not a big thing and it shouldn’t let you be put off, as this is an awesome yarn – I know imagine ALL THE THINGS knit in it. Thanks to Ellie for letting me try out this unforgettable wool! Do check our her website at borderleicester.com and follow her on instagram for a cracking photo stream. The organisers of Edinburgh Yarn festival have released the exhibitor list! Lots of returning favourites and those who will be attending the festival for the first time. Go on, click the button below and find out who will be there…. I’ll wait here! Also Jo and Mica are organising another Knitter’s Christmas Party! This is on 2nd December, at AKVA. There will be food, there will be fun and games (I might be helping with some of those) and there will be a pop-up market with Ginger Twist Studio, The Crochet Project, Comic Strings, Woolly Orignals AND Uist Wool! Pretty exciting! To find out more details visit www.wooltribe.com. Thanks for listening, as always! Next time I am back around the first of December when we will meet our next woolly mucker, Anthea Willis! Music: Carefree by Kevin McLeod and Singin’ in The Rain (demo) by David Mumford – Both are on FreeMusicArchive and are both shared under Creative Commons Attribution license. Images are copyright to those attributed in the caption or in the accompanying information. The header image is from Life Long Yarns. Thanks to Pauline at Life Long Yarns and Ellie from Doulton Border Leicester, who gave us the yarn for free, in exchange for an honest review. So enjoyed this episode Louise which I listened to on my walk to work this morning, layered in cozy wool. I had recently pulled out my long-languishing British breed swatches from the swatch-a-long (intended for a blanket) for a Wovember instagram post and it’s so wonderful and timely that you are bringing back an emphasis on individual breeds for 2018. My first New Year’s resolution will definitely be to finish that blanket, so thanks for this needed push! I’ve definitely swatched with North Ronaldsay and thought surely I’d done Gotland and Jacobs but a quick look this morning at my ravelry projects shows that I don’t yet have proper blanket swatches for those, or Ryeland, so will definitely be joining in. My project for the second quarter of Good Intentions (assuming I finish the first quarter one – sleeves, sleeves, sleeves) is Lime Bitters by Francesca Hughes in Countess Ablaze North Ronaldsay so will be knitting along in January and will love seeing and hearing what all the wool explorers have to say. A very exciting year planned indeed! Thank you for such extensive notes on the episode Louise. Your thoughtfulness and wise words make knitting with place-based wool/fiber so much more meaningful. And the website is lovely! I am really excited about the breed study, there are so many breeds out there with so many different characteristics I think it’s going to be very interesting. Two of those yarns I have and I am thinking a breed study blanket if I do a large enough Swatch. I ordered my Ronaldsay and Gotland fibre from Scottish fibres. Another great episode Louise. Thanks for your wonderful show notes! It’s so helpful to be able to visit them and to access the links you provide about what you talk about on your wonderful podcast. It’s obvious that you spend a lot of time on them. Thanks for opening my eyes to the beauty of local (and especially British) wool, Louise! I am learning so much on this journey. Loved listening to your podcast regarding these samples. I support you broadcasting one podcast a month because producing a podcast is so much work. It is a blessing you will still share your experiences and knowledge with us! Thank you. Your music selection brought a huge smile to my face; it was so lovely to listen. Gratitude to you for all your hard work for us spinners and knitters. Wishing you the best. It is so very interesting to read about the wonderful variety in sheep breeds and the resulting wool, even though there is limited access to these British breeds here in Canada. The information is inspiring me to seek out similar wool here and I have been pleasantly surprised at the variety available here. I have become much more aware and vigilant about wool content and provenance. Wool exploration!! 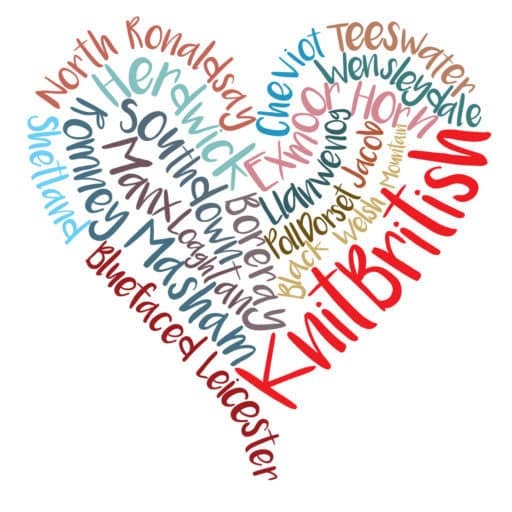 A novice knitter’s delight, an invitation to knit, to learn and to experience all that our British Isles have to offer in woolly wonder!